January's BoxyCharm is so awesome that I'll just say go go go now and subscribe. This month's theme is right up my alley, ROCK 2018. It contains all the glam rock metallic beauty for your rock n roll makeup soul. Let's see what's inside! For $21 mo. BOXYCHARM gives you 4-5 Full Size Beauty Products and free shipping. It is the best beauty box subscription out there. Luminzer Primer delivers a natural radiant glow while blurring pores and imperfections for a beautifully illuminated flawless complexion. I am a huge fan of the dr. Brandt pores no more line, but have only tried out the skincare so far. 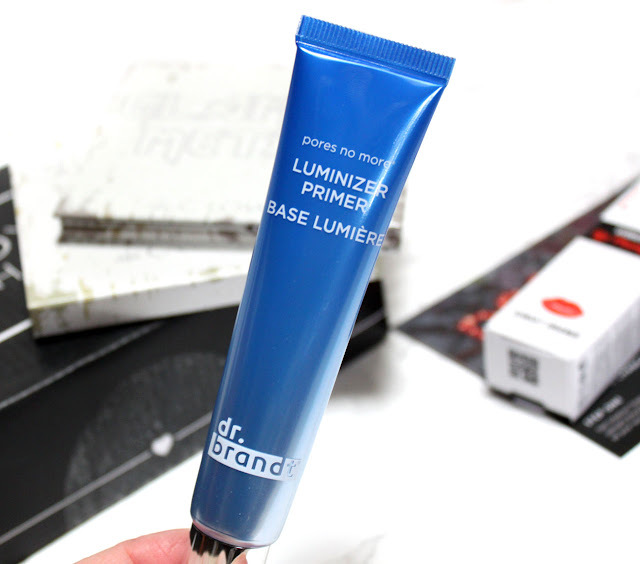 I don't normally wear primer, but the lumizing aspect has me intrigued. This is one of my favorite brow pencils! Brow Power is a universal taupe shade with an angled twist up design and spoolie on the end. I was so happy to get this as I has strayed to other brands for my brows but really love having this pencil in my collection. It gives beautiful, natural looking brows and works for all shades depending on the pressure applied. It's fool proof for quick and pretty brows. 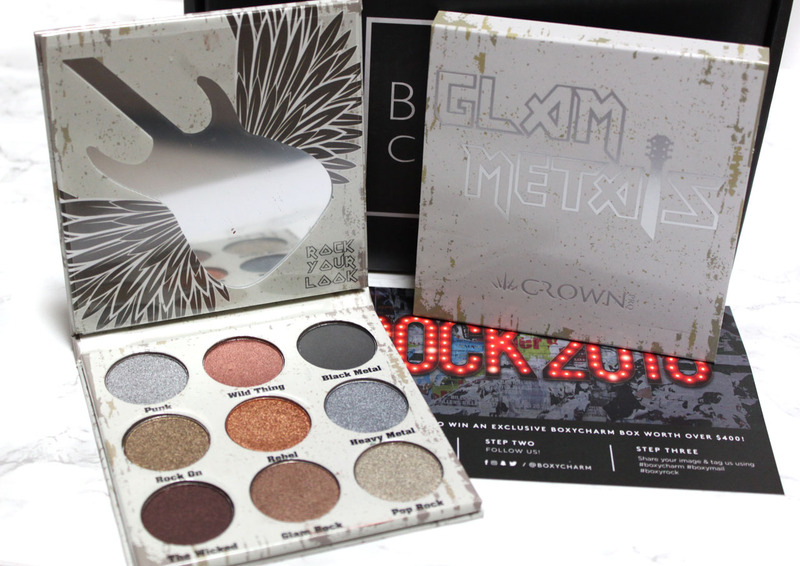 Rock your look with the Crown Pro Glam Metals eyeshadow palette. The highlight pigmented, utterly blendable shadows make smokey looks a breeze. How awesome is this cute little palette? The mirror is guitar shaped! I really love this! 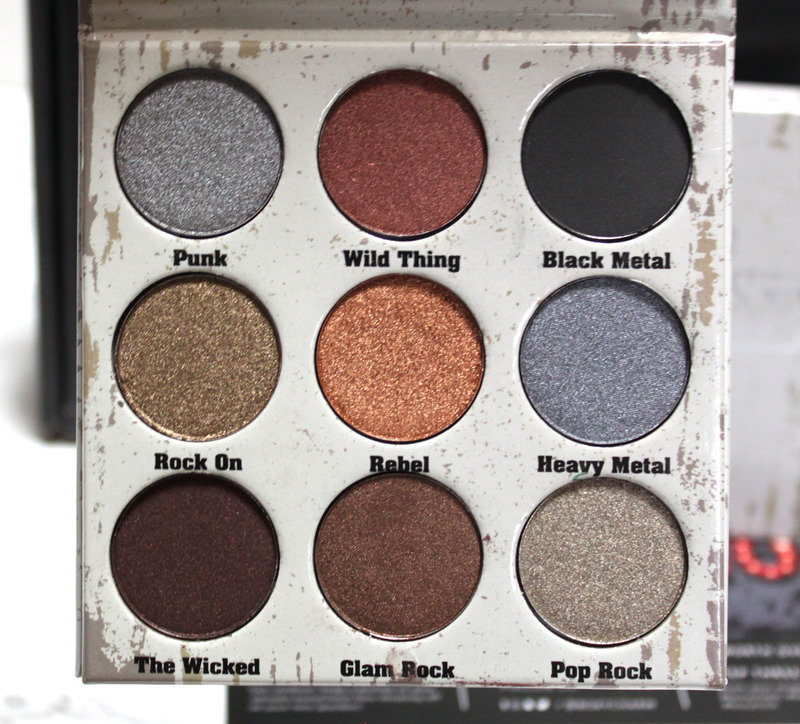 It has all those sultry smokey yet not too dark shades to create the perfect concert night eye look look. I had no idea Crown even did makeup so that's cool! When I opened this up it was like WOW. Like, right now. The shimmer is insanity. It's shimmering highlight, blush, and bronzer in one. 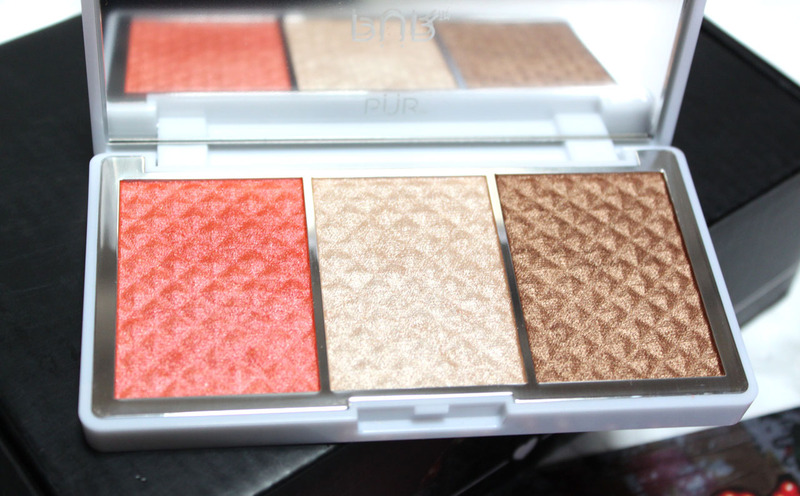 Featuring PUR's fan favorites Afterglow and Mineral Glow along with a new blush shade, Blushing glow. This will be perfect for Spring & Summer too. This lip plumper instantly plumps lip volume while hydrating dry areas. The packaging looks a little dated and cheap but it's a nice gloss that doesn't hurt or burn. The juicy orange is such a pretty shade and a departure from the usual lip colors we see in Boxycharm's. Wow! This box was incredible! The name brands and beautiful products? 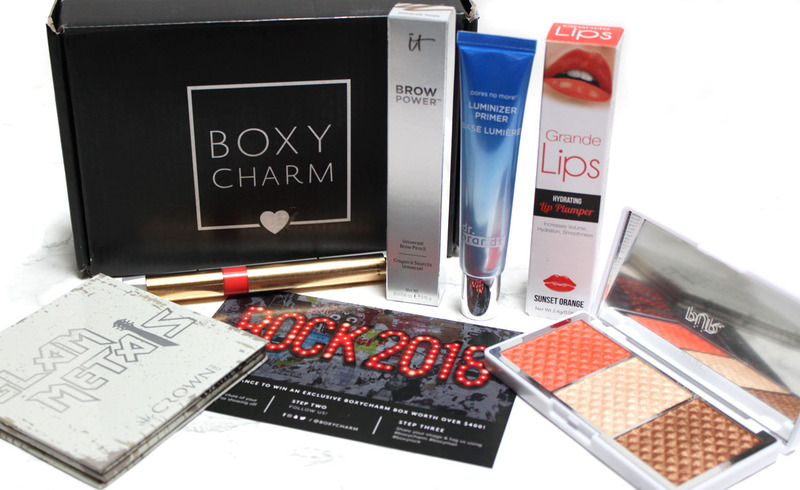 Boxycharm is rocking 2018 like no other!